F.A.R.M., a company from Salesian Secondary College, Pallaskenry, Co. 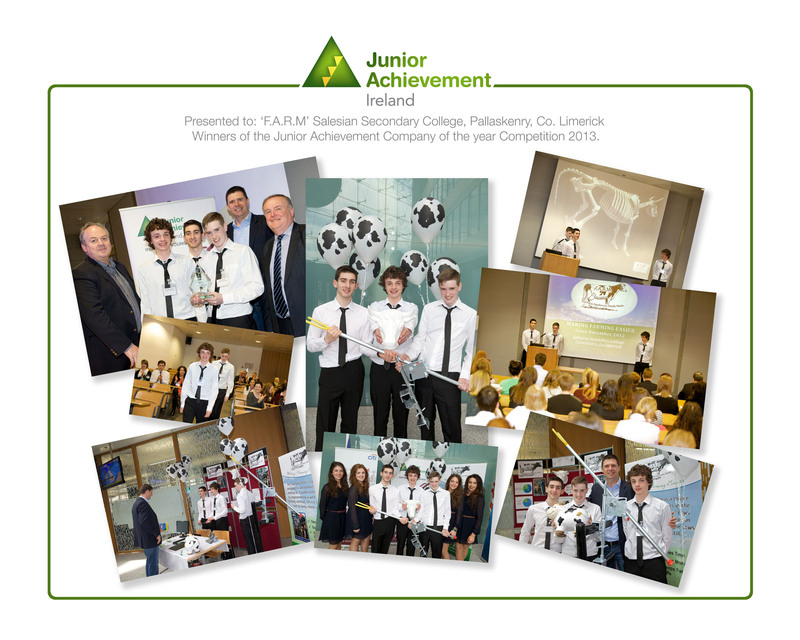 Limerick, was announced winner of the Junior Achievement Company of the Year 2013 hosted at citi in Dublin on the 2nd May. F.A.R.M. designed, manufactured and are presently selling and marketing an innovative invention called the CowTail Lifter - a device that can be used by farmers to stop cows kicking while being milked. The team will represent Ireland, competing against 32 European teams at the JA Company of the Year Competition in London in July. With almost 2,500 Transition Year students countrywide taking part in Junior Achievement’s Company Programme, this year’s winners proved astute entrepreneurs. The Regional Finals of Junior Achievement’s Company of The Year Competition take place across the country in the coming months. 2500 students nationwide participated in the Company of the Year Competition. Two winning secondary school teams from each region go through to the National Final on 12th and 13th May and the ultimate prize is winning the JA European Company Competition in Riga, Estonia in July 2014. "I want to be… a biotechnologist, an astronaut, a forensic scientist, a nutritionist!" Well, if so, come and experience Challenge Science, an exciting science roadshow that introduces young students to a world of creation and discovery. This programme illustrates the importance of science in today’s world of work, especially in relation to the thriving science, engineering and technology industries in Ireland . Challenge Science takes students into third level institutions where they are introduced to science in a practical and imaginative way. This programme is run in partnership with Gas Networks Ireland. The exciting world of science is all around us! 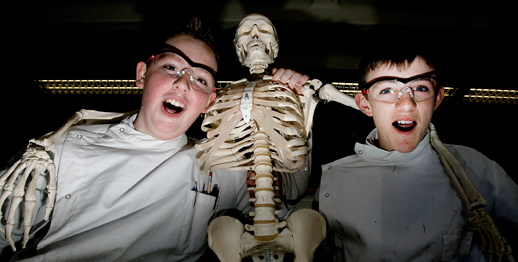 Students learn through hands-on activities to value and understand the scientific world that surrounds them. They are introduced to the role science plays in industry in Ireland today and career opportunities available to them in the future. Our Universe explores the world of science and engineering in a fun and exciting way for 35 minutes weekly for five weeks.